When floodwaters or other moisture sources seep, pool or gush into your basement or another room in your home, time is of the essence. 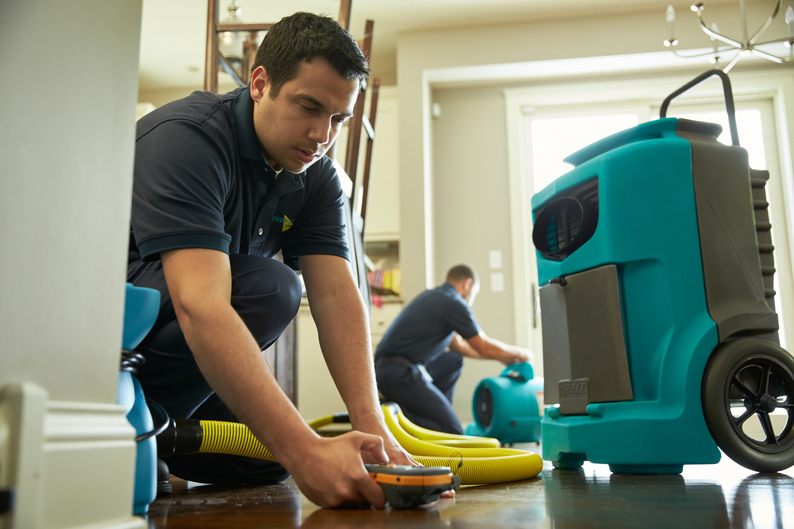 In Chicago, ServiceMaster of Lincoln Park is prepared to help you restore your home to its pre-flood state — guaranteed. Our flood cleanup service is second-to-none in the region, and we promise efficiency. No matter when you need our flooded basement cleanup service in Chicago, we’ll be happy to serve you. Just call us at (773) 346-6767 for rapid response and compassionate care. We focus on overcoming setbacks to set you on the right track again. Having a flooded basement at your residence or office building is a stressful situation. That’s why our ServiceMaster of Lincoln Park team members work quickly to diagnose and then mitigate the damage. As your preferred basement water damage restoration company, we stand by you and help work with your insurance carrier to make sure your flooded basement cleanup cost is practical and predictable. This allows you to focus on getting your life or business back in order. The tools, equipment and processes we utilize at ServiceMaster of Lincoln Park in Chicago enable us to return your property to a healthy state. Excessive moisture fosters mold growth and bacteria, as well as additional sources of contamination. Wetness can also be attractive to insects and rodents. Our flooded basement cleanup procedure is to rid your basement completely of any unwanted water, dirt and mud. Your basement area can then be restored to its prior condition without health-related worries. Basements throughout Chicago come in a variety of shapes, sizes and foundation types. Our ServiceMaster of Lincoln Park team is well-equipped to professionally clean and restore each type of basement area. We regularly work on flooring, including tile, cement and carpeting. Additionally, we work on walls, furniture and ductwork. If it’s in your basement and has become saturated with moisture, we can handle the cleanup. Not all flooded basements are the result of Mother Nature or a malfunctioning appliance or interior water pipe. Sometimes, they come from sewage backups. This is a particularly worrisome catastrophe for homeowners and business owners who are not only concerned about moisture, but also about refuse build-up. ServiceMaster of Lincoln Park works tirelessly to clean up floods related to sewage backups and ensure the area is spotless. Our methods allow us to completely restore your flooded basement to pre-flood condition, leaving it bright and odor-free. Whether you need a Chicago-based basement water damage restoration team at two in the afternoon or at midnight, call ServiceMaster of Lincoln Park at (773) 346-6767 for trustworthy 24/7 response.